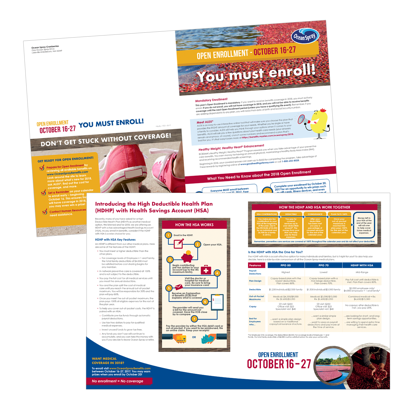 In our previous blog, Print Versus Digital for Employee Communications, we mentioned that our client, Ocean Spray, faced some challenges and opportunities in going digital for employee benefits communications. Ocean Spray was working on becoming an even greener company, so a transition from print to digital was a natural step in its evolution. Additionally, Ocean Spray recognized that digital communications offered a cost-efficient way to keep benefits information current, rather than risk distributing out-of-date information, or pay to have new copies printed and distributed. One of the core challenges was that many manufacturing employees do not have daily access to a computer as part of their work day. The question was: How can we ensure that digital communication will reach these employees, as well as their spouses or partners who help make benefits decisions? We recently sat down with Beth Carriuolo, Senior Benefits Specialist at Ocean Spray, who shared her insights on how they made the transition smooth for employees. Change can be good. Any change within an organization can be met with anxiety by its employees. To allay those fears Ocean Spray adopted a tiered approach and rolled out the new digital format over the course of three years. Year One: Digital communication was introduced to office-based employees only. This first step was fairly easy, since employees had frequent access to a computer and internet. Year Two: Plant-based employees were presented with the option to use the digital site or request printed copies. It was a successful approach as not many people came in to request a print version. The initial employee response was positive, having been presented with options, employees felt supported through the transition. Year Three: By the third year Ocean Spray felt confident that transitioning to a fully digital format was the best choice. The information was supplemented with a single print piece, which was mailed home and directed people to visit the benefits website for more information. Communication is Key. Making the switch for the plants required more education to employees and the HR reps at each location. It’s important to reassure employees that the adjustment to change is temporary. Reps were available at the plants to help walk employees through the printed guides if needed. Communication started earlier than in previous years so the transition would not come as a surprise. Frequent communication coupled with a staggered approach helped ease the transition because employees had access to printed materials for a year while the website was being introduced. Let content be your guide! A website can offer employees and their families convenient access to real-time information. It can be a useful marketing tool for new hires to see all the benefits that are available to them. Questions that would normally be filtered through Human Resources can be answered instantly and are available any time of the day. 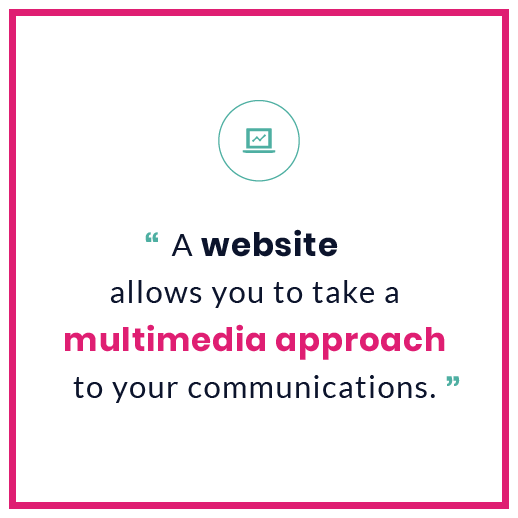 A website allows you to take a multimedia approach to your communications. 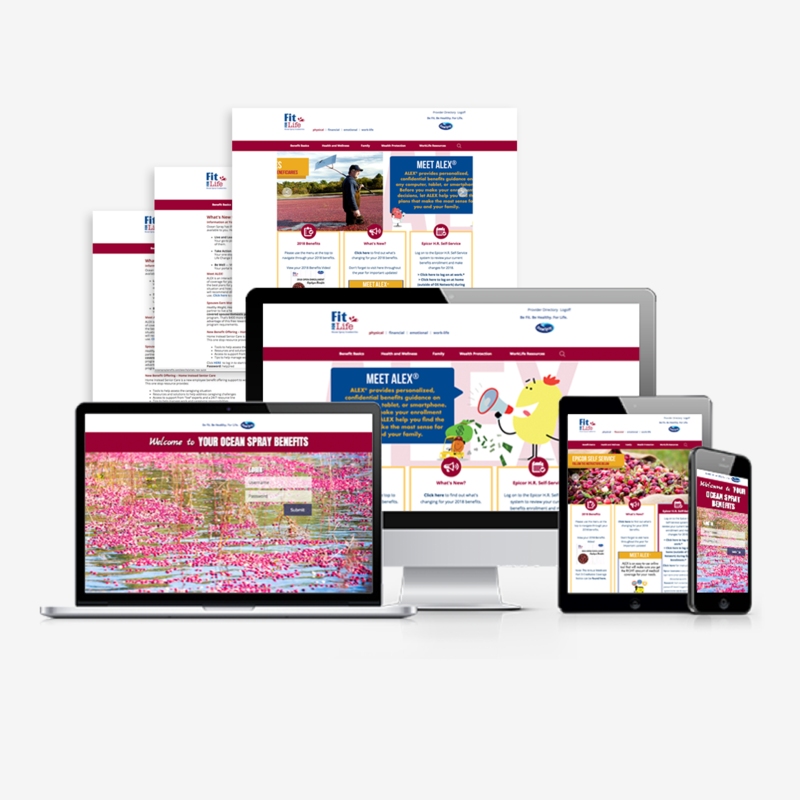 Previously, you may have had to introduce topics separately, but with a website, you can add a presentation, graphics or video to support the information that will be delivered to all employees at the same time. Providing the information in a variety of formats supports the education process. Use the analytics. One of the biggest lessons Ocean Spray learned was that the HR and employee thought processes doesn’t always mirror each other. Analytics revealed a lot about our client’s communication and offered the opportunity to make updates to the site and content to ease the user experience. Where an HR professional may know a topic is located under a specific drop-down, an employee may try searching for it in a different location. The popularity of a specific topic may fall short of expectations. This was the case with Telehealth at one location. HR believed it was a fantastic benefit, but it turns out that population of employees weren’t well educated on the topic. HR was able to identify this issue and provide more prominent communication to increase awareness. Employees were submitting a lot of questions regarding transgender and fertility benefits. The client realized those topics were not prominently displayed on the site. By listening to the employees needs we were able to create special call-outs to draw attention to these topics. To do the same with print media would drive up cost by adding new pages, or you must wait until the next time you print guides. A website can be updated anytime. When asked if Ocean Spray would recommend this approach to online communications to others the answer was a resounding, “Absolutely!” A website and digital communication platform allows you to communicate benefits information in real-time to employees and their families. The content is attractive and provides more flexibility than print guides. There’s the freedom to revisit the site time and again. It’s also an effective recruitment tool for new hires. The prospect may have appeared scary at first, but strategic and consistent communication offered a seamless transition, and an easy outlet for ongoing messaging.